Dr. Calleros has been providing life enhancing dentistry for more than 30 years in the South Bay communities. She received her Bachelor of Science in Biology from University of California, Riverside and her Doctor of Dental Surgery from University of California, Los Angeles. Go Bruins! Along with private practice, she has been an instructor at the UCLA Dental School’s Restorative Department. Continuing education is extremely important to Dr. Calleros, as she spends countless hours taking courses to ensure she stays at the forefront of dentistry. 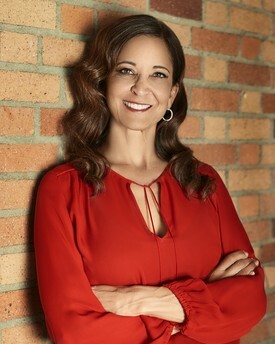 She has taken many courses in advanced esthetics, occlusion, and treatment planning at the world-renowned Spear Education in Scottsdale, Arizona. She has studied extensively in implant dentistry and she has recently attained a Fellowship in the International Dental Implant Association. Her latest study is a mini-residency in sleep disordered breathing. She is one of the first and only Laser Certified Dentists in the South Bay. Her continuing education will not stop here, as she understands the importance of staying ahead with current dental research and technology. One of her favorite technologies is cone beam computerized technology (3-D radiology). She uses this for diagnosis of oral pathology, endodontic root canal treatment, and digital implant planning. This seamlessly integrates with CEREC technology, one-visit crowns. She has earned the distinction of becoming a mentor for advanced CEREC classes at Spear Education and was a proud mentor of CERECDOCTORS.com for several years. Dr. Calleros loves dentistry because she can combine science with art to create not only beautiful, but more importantly, healthy smiles. From the start of her private practice she has always upheld the highest level of ethics and integrity. You can trust that Dr. Calleros will listen to each individual need and provide you with optimal care. She has chosen a team that holds the same beliefs and value system to ensure the entire dental experience can be pleasant, knowledgeable, and treat you like family. Giving back to the community is important to Dr. Calleros. Each year she joins forces with agencies such as Habitat for Humanity and the 1736 Family Crisis Center to provide dental services to local families who are unable to afford treatment. She and her team have volunteered at Maria Shriver's Modern House Call for Women in Long Beach, California where they provided uninsured women on-site dental treatment. In the past, she has volunteered with the South Bay Health District, where she helped low income children and abused women receive much needed dental work. Giving back does not stop at volunteering her time, she continuously donates to many different charities and participates in local fitness events that raise money for various charities. She and her team recently did over $15,000 of dental treatment on families from a local crisis center. In September 2015 she not only completed the Avon39 Walk to End Breast Cancer in Santa Barbara, she also raised over $6000.00 towards breast cancer research and treatment. Dr. Calleros understands firsthand the importance of raising a healthy family. She is married and the proud mother of two. Her daughter graduated from San Diego State University and is due soon with her first child and Dr. Calleros' first grandchild and her son is a firefighter/paramedic in Scottsdale, Arizona. An animal lover, she has a frisky dog named Brandy. Away from the office, Dr. Calleros enjoys many outdoor activities with her husband, Trey. She is quite the weekend warrior. You will most likely find her riding her road bike along the coast and through the hills of Palos Verdes. Every year she runs in the Manhattan Beach 10K. In support of UCLA, she combined three of her favorite activities, swimming, biking, and running, to complete her first triathlon, the Iron Bruin. She also takes great pleasure in playing tennis, golfing and hiking. During the summer weekends she spends her time enjoying the South Bay beaches, and during the Winter weekends skiing down the slopes of Mammoth.